PUT ON YOUR WALKIN’ SHOES! Get up, get out, and be a part of the action! It feels great to spread awareness for ITP and raise much needed funds for research and patient support. You'll meet some great people along the way. Join us in the fight against ITP. Become a National Sponsor today! 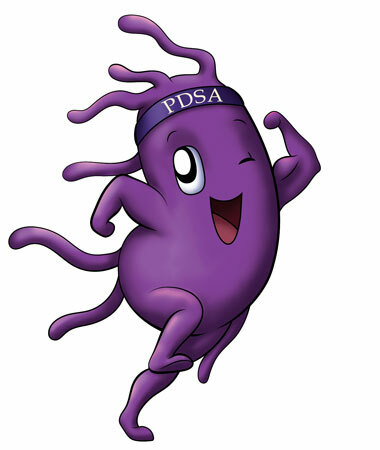 IT’S TIME TO GET PUMPED FOR PDSA’S 10th NATIONAL WALK/RUN! As a child... being robbed of 'normal' childhood activities or contact sports because a minor bump or cut could lead to life-threatening bleeding. As a parent...being accused of abuse because your child is experiencing unstoppable bleeding and is covered with bruises. As an adult...waking up with a mouth full of blood blisters, heading to work with an incessant nosebleed, or going to bed with a headache fearing the worst – it’s a brain hemorrhage and you won’t wake up in the morning. Imagine living this life with no hope of a cure EVERY day... This is reality in living life with ITP. Proceeds will benefit PDSA programs & research that are made possible through private donations, fundraising efforts, memberships, and grants through corporate sponsors.